The Theosophical Society was formed in New York, in 1875 by Helena Blavatsky and Henry Steel Olcott. In 1882, Olcott and Blavatsky moved to India and established the International Headquarters at Adyar, in Madras. Following were included in the Society's agenda. 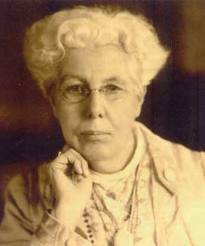 In 1893, Annie Basant joined Theosophical Society of India. The soceity became more prominent when Annie Basant became the President of the Theosophical Society in 1907. As part of her Theosophy-related work, she helped Madan Mohan Malayia to establish the Central Hindu College, which later developed into Banaras Hindu University. She joined the Indian National Congress later. When World War I broke out in 1914 she helped launch the Home Rule League to campaign for democracy in India and dominion status within the Empire. This lead to her election as president of the India National Congress in 1917. After the war she continued to campaign for Indian independence and for the causes of Theosophy until her death in 1933. The All India Home Rule League was a national political organization founded in 1916 to lead the national demand for self-government. It was formed by prominent Indians like Mohammad Ali Jinnah, Joseph Baptista, Bal Gangadhar Tilak, G. S. Khaparde, Sir S. Subramania Iyer and Annie Besant to organize a national alliance of leagues across India, to demand Home Rule, or self-government within the British Empire for all of India. Tilak founded the first League in the city of Pune, Maharashtra. Mohammad Ali Jinnah headed up the League's Bombay Branch and Annie Basant headed the Madras branch. Unification of moderates and radicals as well as unity between Muslim League and Indian National Congress was a remarkable achievement of Mrs Annie Besant. Later when government arrested Annie Besant the movement actually spread out and made its impact in interior villages of India. In 1920, the All India Home Rule League elected Mahatma Gandhi as its President. In 1921 , the body it merged into the Indian National Congress. Детальная информация Igor Mazepa PrivateFX здесь.